This alarm will give your brain a workout in the morning. 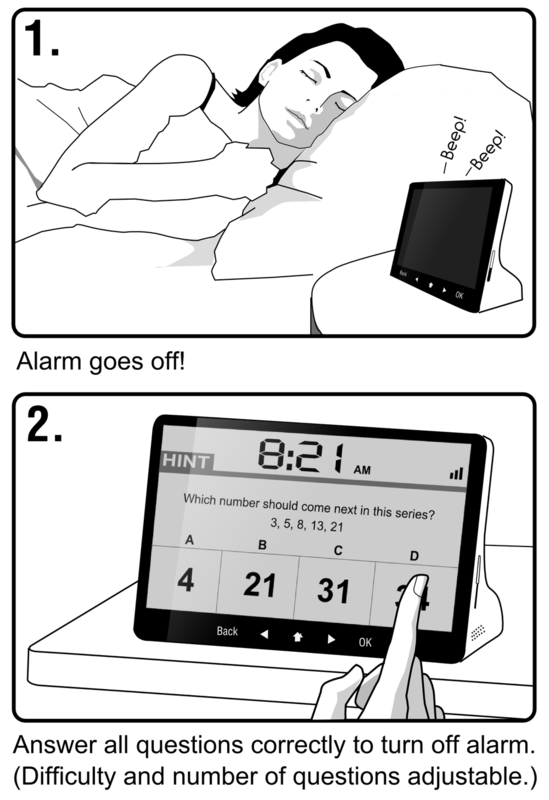 It will ask you a set of 1-3 questions (similar to ones found in IQ tests) and will keep going off until you answer all the questions in the set correctly (No snooze). And don't even think about pressing the power button or removing battery. The power button needs to be pressed and held for 30 seconds and the battery is designed to be tedious to remove. By that time, you would be awake, albeit angry. This is an alarm you will love to hate. It was featured on the popular industrial design blog, Yanko Design.